Colour: White tree on black mirror. Introducing our new White Cluster Tree on Black Mirror. Designed and hand made in the UK and available in custom sizes as well as set sizes. The perfect addition to any home and this piece would look amazing with any interior or decor due to the two basic colours. 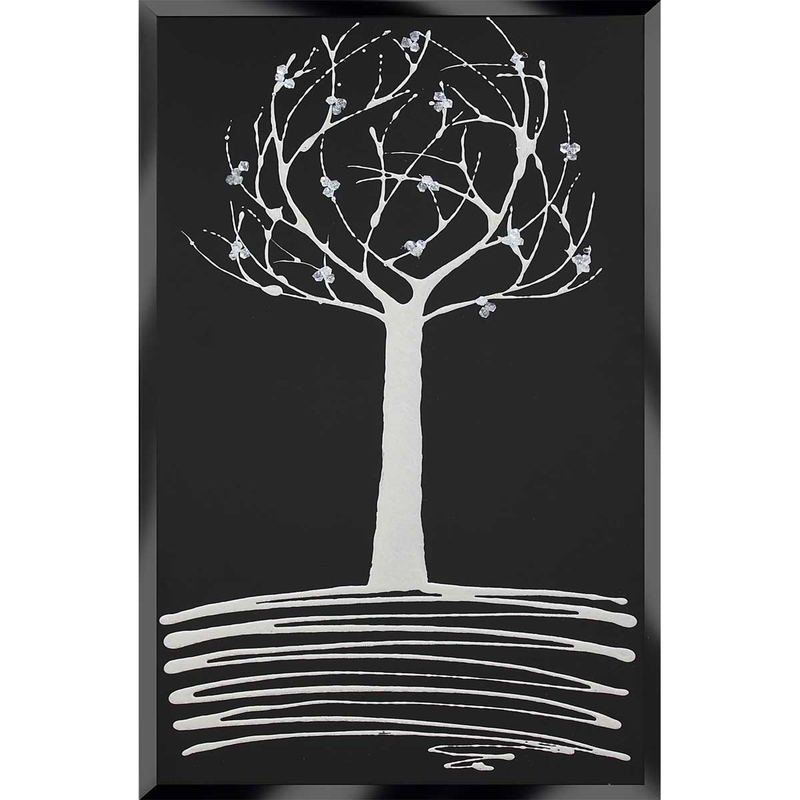 If your looking to add style to your home without it taking over the room, this cluster tree design is perfect for you. Available in custom sizes. For further information on pricing, please contact our office on 01642 455589.